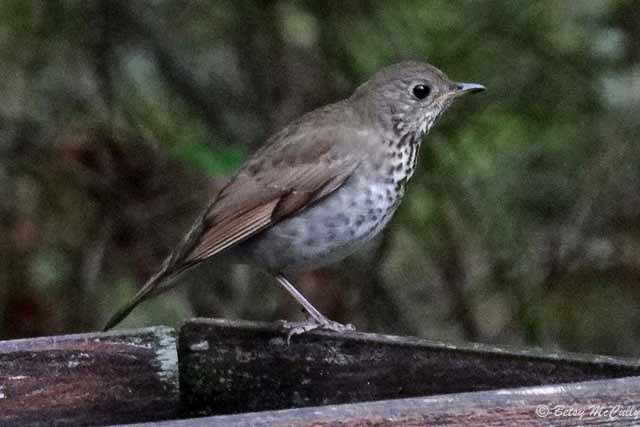 Gray-cheeked Thrush (Catharus minimus). Forests. Migrant.